Don’t be fooled. 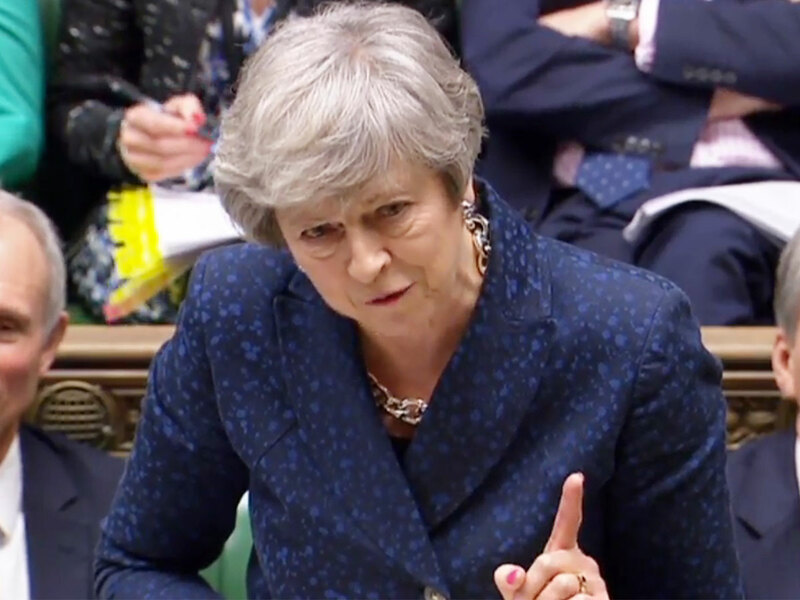 In the next few weeks we are going to be treated to such an ecstasy of parliamentary plotmanship that the ordinary punter is going to start wondering who the hell is Prime Minister of this country — Theresa May or Erskine May? Already the office of the Speaker is starting to silt up with complicated wheezes from our legislators, and in the coming weeks there will so many amendments, feints, ruses, motions that the voter will ask himself or herself — just what do our MPs think they are doing? So I will tell you. It’s simple. Whether they talk about staying in a customs union, or delaying Article 50, or a People’s Vote, or a speakers’ convention — the purpose of these parliamentary manoeuvres is ultimately the same. There are large numbers of members of parliament (though not, I think, a majority) who want to stop Brexit. They want to frustrate the will of the people, and there are three giant facts that mean — or so I hope and believe — that they will fail. The first is that Britain must leave the European Union, by law, on March 29. That was not just what the people voted for in 2016; it was what parliament voted for overwhelmingly. We have had ample time to get ready.We have devoted more than two-and-a-half years to the negotiations, when there are plenty of other urgent priorities for government. If we are now so feeble as to say to the British people that we can no longer go through with this, and that we must delay or extend Article 50, I believe that the reaction would be a vicious and unparalleled contempt for the whole political class; and the same point should be made to anyone so fatuous as to suggest that the answer is a general election. The second giant fact is that the prime minister’s deal has been not just thrown out, but kicked into orbit — rejected by the biggest margin in parliamentary history. It is an ex-deal. It is dead, defunct, deceased. It has shuffled off this mortal coil and gone to the great Valhalla of irrelevant and superseded international agreements that includes the League of Nations, the constitution of the Soviet Union, and the Federation of Rhodesia and Nyasaland. It will never get through parliament because it is fundamentally anti-democratic, and would mean that the UK would come out of the EU but end up being very largely run by the EU — unless we were willing to surrender control of Northern Ireland, which no British government could, would or should even contemplate. The deal is not capable of getting through: Keep that in your head, and then focus on the third giant fact, which is that the answer does not lie in parliament, but in Brussels. Insofar as it is necessary to do a deal to leave the EU, that deal cannot be done with our legislators — mighty though they be. The relationship is with the other 27 countries. There is no point in these delectable disputations about the deal in parliament, and no point in these endless wrangles between MPs about the rival merits of Norway, Switzerland, or Canada — as though it were all a discussion of which skiing holiday to book. It is our friends and partners in the EU who are — at least in theory — so obdurate about the Northern Irish backstop, and there is nothing MPs can do, no matter how brilliant their amendments, to change that text. It is not their text. The most important thing now is for the prime minister to go back to Brussels — armed with the mandate of 432 Nos — and tell Michel Barnier (European chief negotiator for Brexit) that the backstop is, as they say, caduque (void). Take that backstop out, or at the very least give us a legally binding change — within the text of the agreement — that allows for the UK to come out of its own accord, and then we will be able to say that the agreement is imperfect but at least tolerable. Take out the Irish backstop, and the deal, on balance, is better than staying in the EU, and it should be seized in the hope that we can make a better fist of the next phase of the negotiations. That is the way ahead, and I believe that if the prime minister goes back to Brussels with real take-it-or-leave-it determination she will not only get what the country needs, but she will also unite her party; and the national feeling of relief will be astounding. I read of these absurd plots in parliament. They won’t stop Brexit. They won’t even succeed in delaying it. But by seeming so blatantly to go against the wishes of the electorate, they will contribute to a very damaging feeling of a gap — and a growing gap — between the public and the political elite. Did you hear the roar of audience approval for the suggestion that no deal might now be the best option? There is a sense in which the public are braver — and wiser — than their MPs.